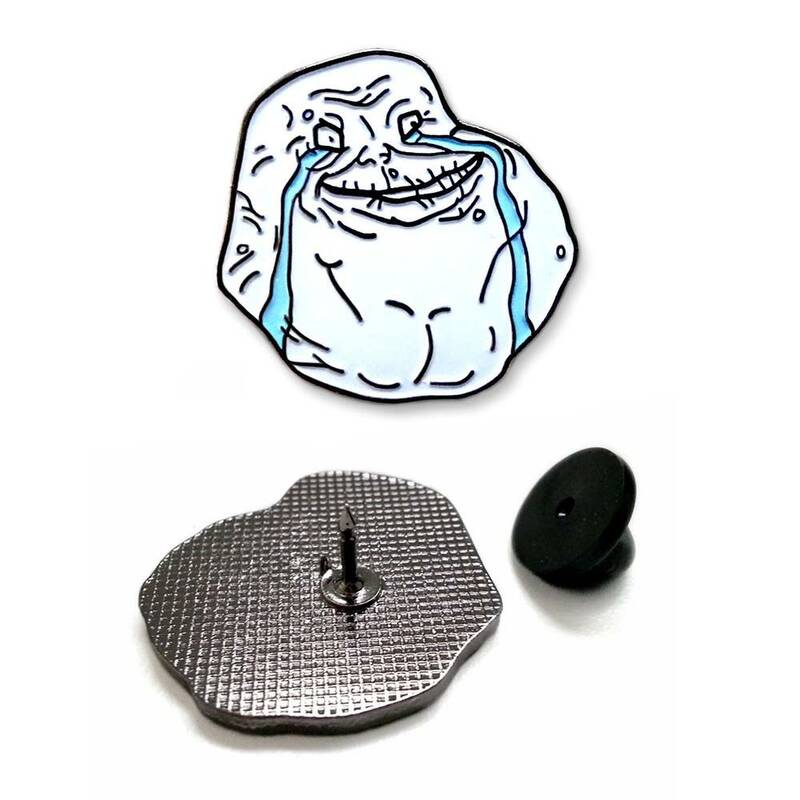 At 2mm thick and 1” tall, this Forever Alone Meme Lapel Pin is a humorous small gift for anyone feeling sad and lonely. With this little pin, you can tell the world how you are feeling at this current moment. Maybe you’ll meet some people who can relate and commiserate!